You see and read these types of articles and posts everywhere. “3 Secrets For The Best Body Ever” or “Top 5 Exercises to Make You a Better Athlete”. The truth is, some exercises are better than others, but to pick a few and say call them “the best” is pretty ridiculous. The bottom line is, people tend to over think fitness. To get in shape doesn’t take the newest trend or some new product. It just takes diligence. In fact, most new products and exercises are just the basics, but repackaged to give you the appearance of something new. Which leads me to my list of 3 great bodyweight exercises anyone can do anywhere. Notice I said “3 great bodyweight exercises” not “the 3 greatest”. What are they? Simple..and you’ve probably seen them many times over. What makes them so great is they take almost no equipment (except for a bar or stable structure to pull yourself up on) and can be done in virtually any space. Plus, each one has modifications so you can still get the benefit of training without risking injury or exacerbating an existing one. Pushups are excellent exercises for developing strength and endurance in the chest, arm and shoulders. Here are three pushup examples showing progression and modification. The first is a standard pushup. To vary the intensity, speed up or slow down the movement. 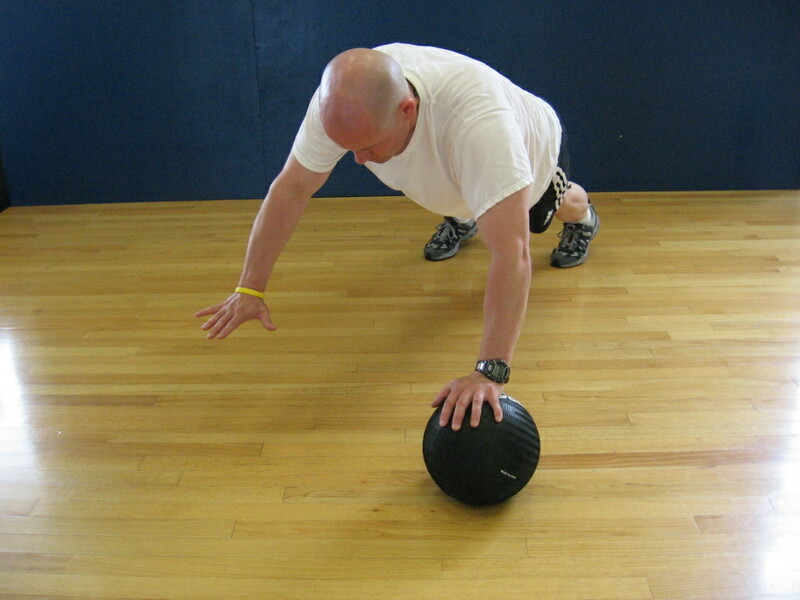 The second is a medicine ball stability pushup. The idea is to balance on the medicine ball during the “up phase” of the movement. 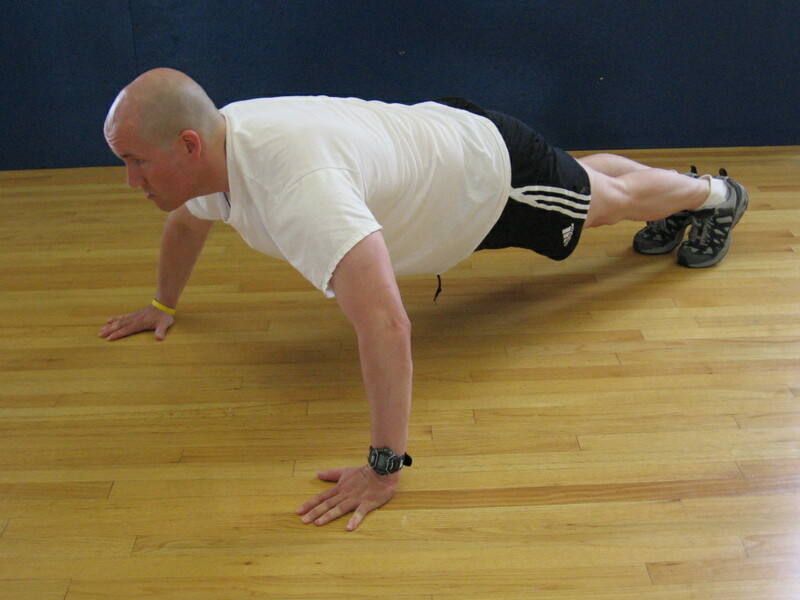 It is considerably more difficult and requires more strength and control than a standard pushup. The third picture is a modification for someone who can’t do a regular pushup and wants to avoid using their knees. 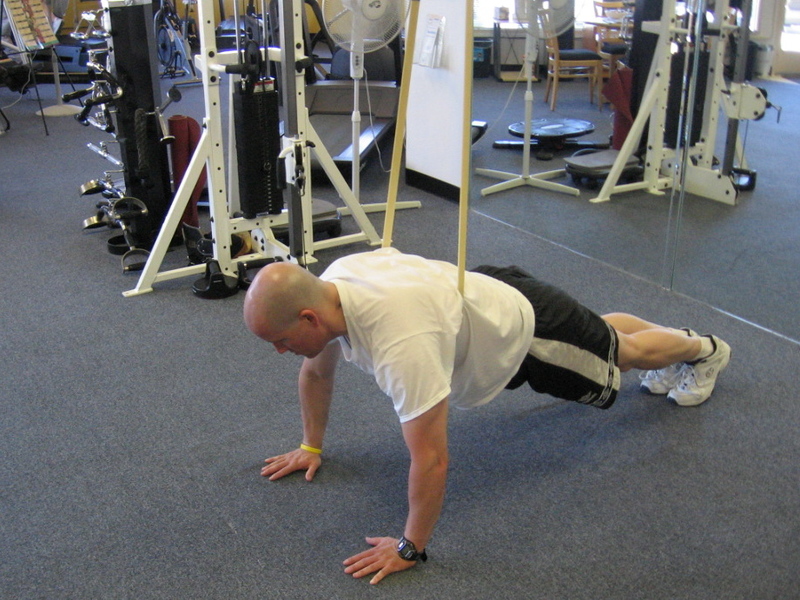 This is a sportband assisted pushup. The band reduces the effect of gravity on the body, allowing you to perform the movement with proper form. As you get stronger, the size of the band can be reduced, lessening the assistance it gives. Eventually, you’ll progress in strength so that no band is needed. 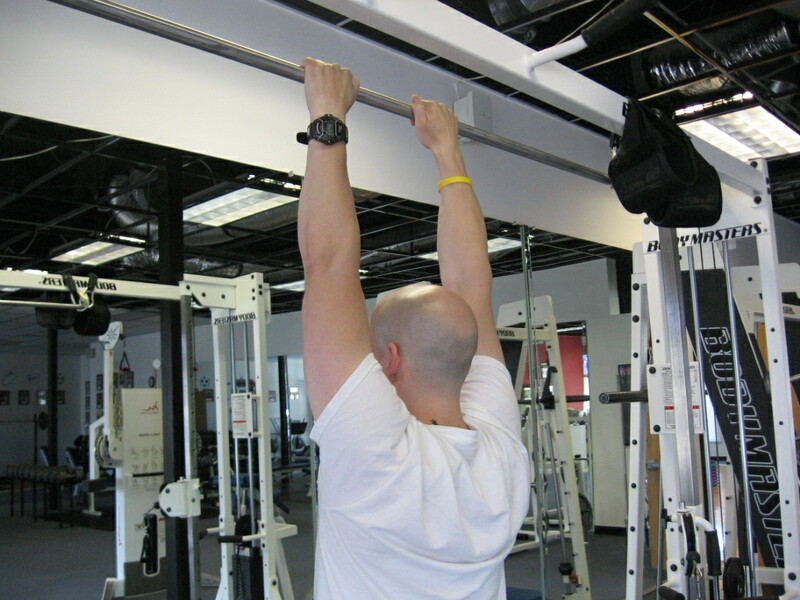 Pullups are great for developing back and arm strength. All you need to perform them is a bar. Look around and you’ll find them almost anywhere…a park or playground for instance. Any jungle gym will likely have something suitable. The first picture shows a standard pullup grip. The second picture shows a reverse grip, commonly referred to as a “chin up”. 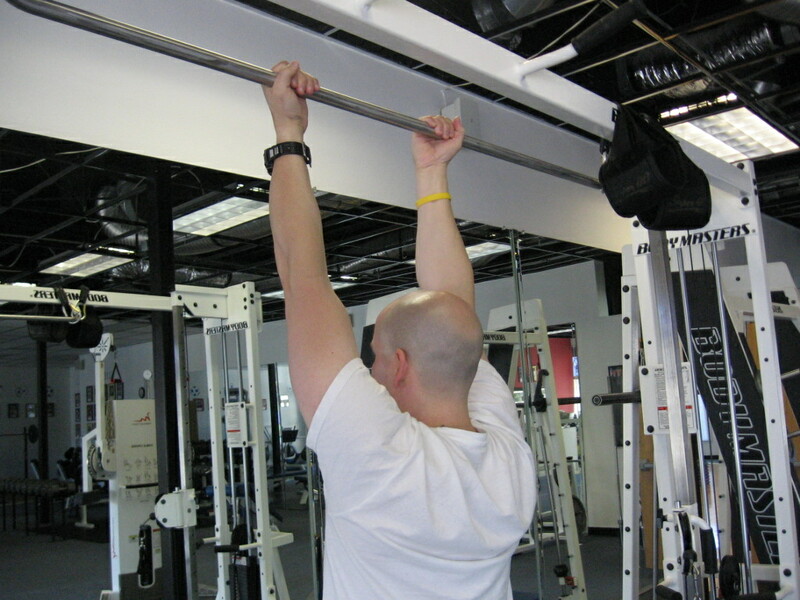 A reverse grip pullup is typically easier to perform because you have much more assistance from the biceps. The third picture is simply a towel slung over a bar. This is one progression you can make to really challenge the body. 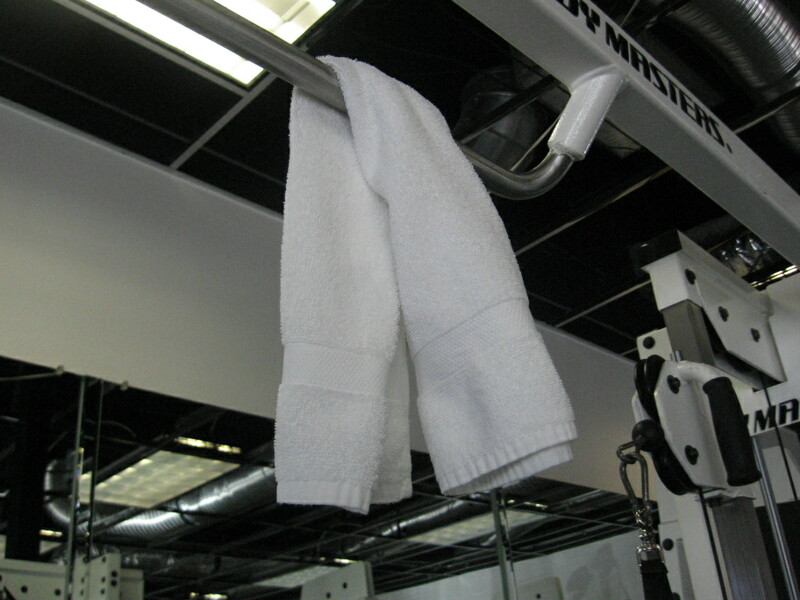 By gripping the towel with both hands and pulling yourself up, the exercise becomes much, much more challenging. Try it and you’ll see. In addition, you work the forearm flexors, which often give out in certain exercises long before the other muscles do. This is a great exercise for martial artists or any sport where a strong grip is essential. Squats are an outstanding exercise overall. They incorporate many different muscles and muscle groups and, best of all, burn a lot of calories. There are so many squat variations, it would take me forever to detail them all. Visit http://www.hybridfitness.tv for a better understanding of all the squat variations, including pictures. The first picture is of Wayne “Scrapper” Fisher performing a bodyweight squat. It’s very simple and, when done correctly, very effective at promoting strength, power and endurance in the entire lower extremity. The second picture is Liam “Taku” Bauer performing a bleacher squat. This move can be done a couple different ways. Regardless, it’s still a bodyweight exercise but you ultimately end up forcing one leg to do all of the work. 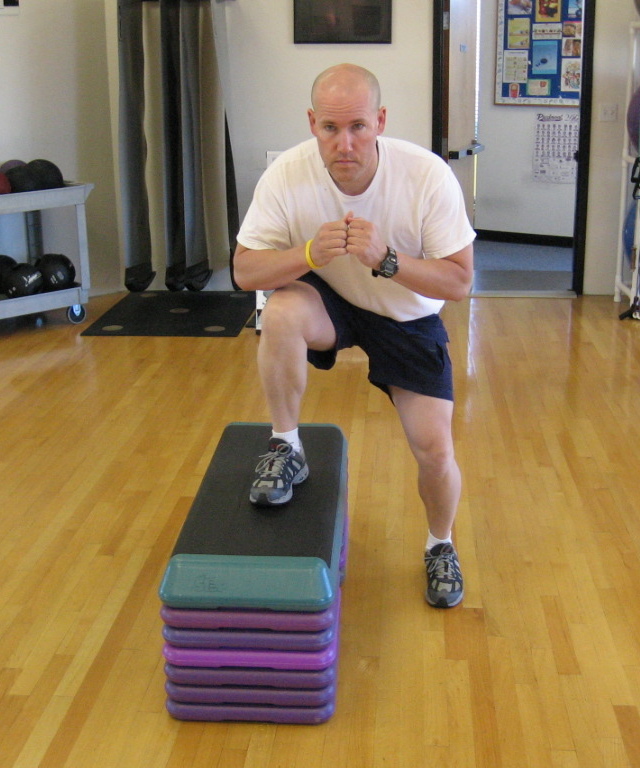 In a nutshell, a simple variation makes the movement considerably more challenging and effective. For anyone with knee and/or joint issues, simply limit the range of the exercise to something that doesn’t aggravate the issue. This is true for pushups, pullups and all other movements. So keep these exercises in mind and remember, fitness doesn’t need to be fancy, but you do need to work. Visit our website for more information, programs, workouts and videos.